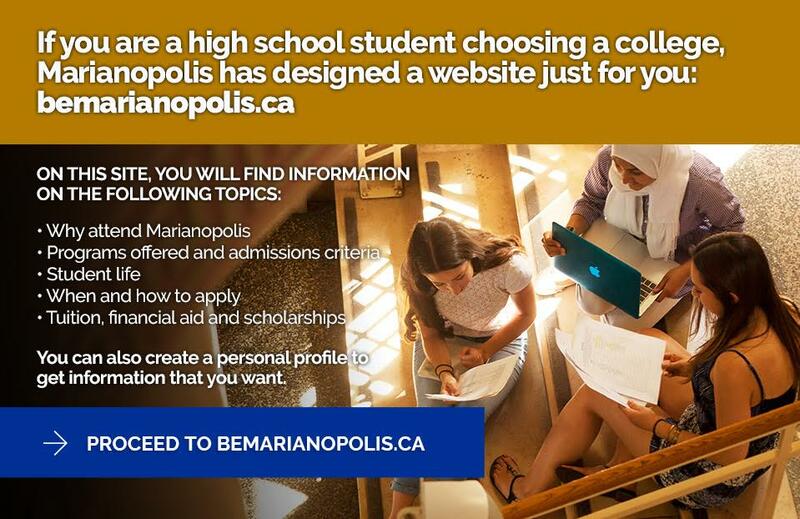 As a private college, Marianopolis charges tuition and receives partial funding from the provincial government. About one in five Marianopolis students receives financial support to offset the cost of tuition, thanks to donations to The Marianopolis Millennium Foundation and to funding from the government’s student loans and bursaries program. Tuition for one academic year of full-time studies totals about $5,500. A student is considered to be full time when registered in four or more courses or for 180 class/lab hours or more per semester. Each academic year has two semesters. Fees are subject to change by the College or the Ministère de l’Éducation et de l’Enseignement supérieur. *Out-of-province students: students who are not Quebec residents as defined by the Ministry are required to pay the out-of-province student fee indicated above, as determined by the Ministry. ** International students: students studying in Canada on a student visa are required to pay the international student fee indicated above, as determined by the Ministry. These students are also required to purchase insurance from the College. Textbooks: students can expect to pay between $500 and $700 per year to purchase new textbooks. However, used textbooks can be purchased through the Omnivox student portal at reduced prices. Tax credits: the College issues tax receipts for tuition that are eligible for the calculation of tax credit. For more information, please consult your tax specialist. RESP funds may be applied toward a student’s Marianopolis education. Payment options: tuition is payable online through all major banks. For more information, students should check the Omnivox student portal. Option I: in full upon receipt of the invoice. Option II: first installment due on the first day of classes each semester, second installment due five weeks later. To defray the cost of tuition and textbooks for students in financial need, the College provides tuition credits and book loans to students who qualify for the Quebec Government Student Loans and Bursaries Program (Aide financière aux études or AFE). Student must apply for a tuition credit by March 15 of each academic year and apply for book loans at the start of each semester. The College will provide the following scholarships and bursaries for incoming students during the 2019-2020 academic year. Incoming students must apply for scholarships by March 15, 2019. * At least one of two required letters of recommendation must be from a teacher or staff member of the student’s high school.